Third and last gesture of the complete Screen Hair Repair repairing system. With a pH of 4-5. It perfectly closes the scales, sealing the internal layer and repairing the external part. It provides intense brightness and deep hydration. Directions for use After STAGE TWO, apply to towel-dried hair. Gently massage. Leave in for 3-5 minutes. Rinse carefully. Style as desired. Please always refer to instructions on the pack. It seals the scales of the hair stem and repairs it. It gives deep hydration and brightness. The effectiveness of the treatment underwent a clinical trial on a statistically significant panel giving excellent findings. 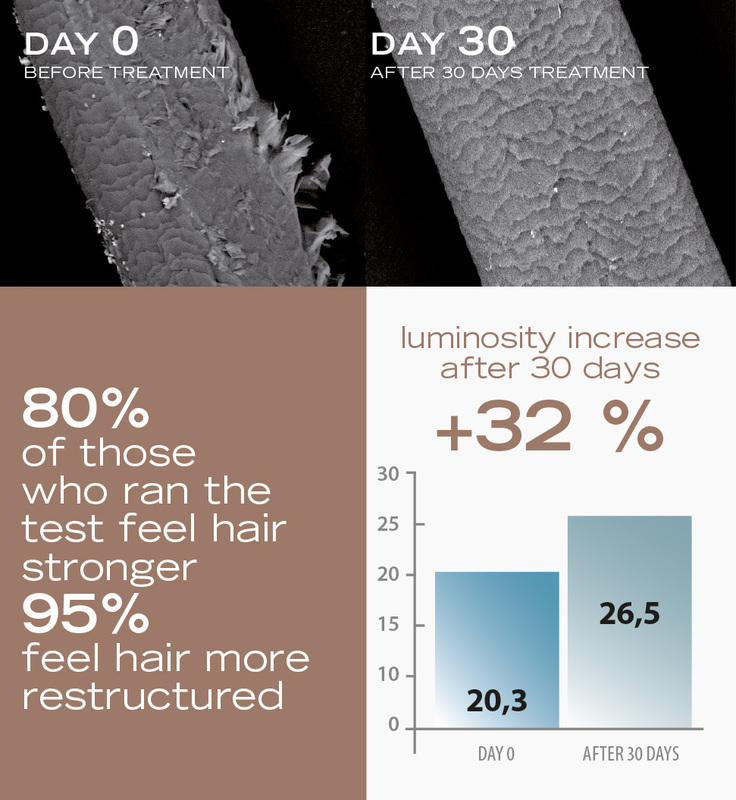 Using the three Screen Hair Repair products, estabilishes a restructuring effect of the hsir cuticle as evidenced in their analysis by means of a scanning electron microscope. Linked to this improvement is also an increase in the hairs' luminosity.